An Orthopedic Mattress is designed to support without pressure points that will cause blood clots and bed sores. These beds are used by people who are bed ridden and have limited or no mobility. They are used in Hospitals and nursing homes by trained staff. The reason they must be trained staff is because the air mattresses used are multi chamber mattresses that can be inflated in sections to give the maximum support with the minimum pressure. These mattresses also give the spine the perfect alignment, weather you are a back sleeper or side sleeper. Millions of people suffer, many needlessly, from induced pain and discomfort. In many cases this is due to poor sleeping conditions and unsuitable mattresses. Either, mattresses that are too old or of poor design and construction. In most cases this could be helped or even cured by the use of an Orthopedic mattress. Our body needs it’s rest to repair and make good every night. Our back and spine are the most important part of our bodies. 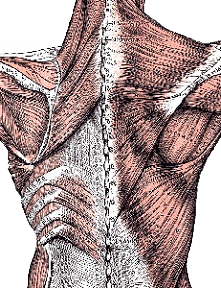 The spine carries our nerves communicating to our whole body. So a damaged back and/or spine is going to have an effect on our arms, legs and neck. If we are in pain this is going to have an effect on our ability to work. Time off work can be very costly to you and your employer. Then there’s the effect on home life, not being able to do the garden, clean the house, clean the car, lift the shopping into the car and play with the children. The word Orthopaedic was first used by Nicholas Andry (1658-1742). Andry was the professor of Medicine at the University of Paris and Dean of the faculty of Physick. In 1741, at the age of 81, he published a famous book called Orthopaedia: or the Art of Correcting and Preventing Deformities in Children. Nicholas Andry coined the word “orthopaedics” in French as orthopedie, derived from the Greek words orthos (“correct”, “straight”) and paideion (“child). So how did the word Orthopaedic come from being a word for children’s care to be a word to describe a mattress for adults? Jean-Andre Venel was a Genevese physician who studied dissection at Montpellier at the age of 39, and in 1780 established the first orthopaedic institute, which was the first hospital dedicated to the treatment of children’s skeletal deformities. He is considered by some to be the father of orthopaedics or the first true orthopaedic surgeon in consideration of the establishment of his hospital and for his published methods. In 1851 Antonius Mathysen, a Dutch military surgeon, invented the plaster of Paris cast. Many developments in orthopaedic surgery resulted from experiences during wartime. On the battlefields of the Middle Ages the injured were treated with bandages soaked in horses’ blood which dried to form a stiff, but unsanitary, splint. Traction and splinting developed during World War I. The use of intramedullary rods to treat fractures of the femur and tibia was pioneered by Gerhard Küntscher of Germany. This made a noticeable difference to the speed of recovery of injured German soldiers during World War II and led to more widespread adoption of intramedullary fixation of fractures in the rest of the world. David L. MacIntosh pioneered the first successful surgery for the management of the torn anterior cruciate ligament (ACL) of the knee. This common and serious injury in skiers, field athletes, and dancers invariably brought an end to their athletics due to permanent joint instability. Working with injured football players, Dr MacIntosh devised a way to re-route viable ligament from adjacent structures to preserve the strong and complex mechanics of the knee joint and restore stability. The subsequent development of ACL reconstruction surgery has allowed numerous athletes to return to the demands of sports at all levels. That’s a brief history of how Orthopaedics came from children’s care through to adult care. Somewhere along the line the mattress industry adopted the word to mean a mattress that will assist with the straightening of the skeletal. This is done by relieving pressure from the prominent points as we lay down. It is important to keep in mind that there is no government or industry specification for an Orthopaedic mattress. Why do so many people suffer from back pain? Back pain can come from many things. An accident, at home, in a vehicle or just slipping over can be the start of many peoples back pain and this is where our time in bed getting a quality nights sleep giving our body a chance to repair is very important. But if the mattress is not doing it’s job properly we will never repair just get worse. Back pain may also start from sleeping on the wrong mattress in the first place and of course if it is wrong to start with your back will just get worse until we end up with a permanent problem. 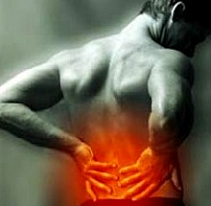 An Orthopedic Mattress would support your back in the correct position giving it a chance to repair. If you were to choose the type used in Hospitals you would be able to adjust it to suit your changing back as it repairs. If your back pain is not caused by an accident and then it’s a good chance that you are sleeping on the wrong mattress. This may be a low quality mattress or just the wrong type of mattress for you. No two people are the same shape, size and weight and therefore no two people need the same mattress. All mattresses deteriorate with time and a cheap mattress more quickly. A cheaper mattress will only last about 5 years with good care and after that they will loose their support and back problems will start here. This is what an Orthopedic mattress is designed to provide for a much longer period. The spine is quite robust and fortunately can recover very well on it’s own with the correct rest on the correct mattress. The normal shape of our spin from a side view is like a soft S. Where the spine turns out twice it is important to maintain this shape. If we don’t maintain this shape either with an Orthopedic mattress or with a good quality mattress with Orthopedic properties, problems with the back can develop. Many people buy an Orthopedic mattress to get the support required for a healthy nights sleep and only an Orthopedic mattress can cope with the change in our backs needs. 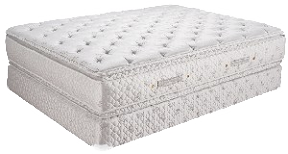 A fixed inner coil sprung mattress can not be changed as our back shape changes with the different type of work we do. If you work at a desk all week and then spend the weekend doing gardening or a energetic type of sport, then your back is not going to be the same shape after hectic as it is when sitting all day. An Orthopedic mattress is designed to cope with these changes. Either by changing the Air pressure in the mattress or by the foam conforming to the change in the shape of your back. If you have a foam type mattress then even that has a life and must be changed as soon as it doesn’t give the support required. Orthopaedic mattresses come in many guises. The traditional sprung mattress with or without foam top, all foam mattress either made from Latex or memory foam, water beds and Air mattress. The sprung mattress supports the body metal springs moulding to the shape of the body. With time the springs will wear out and not perform as they did when new and they are an old fashioned way to mould to a perfect shape, the more springs the more support and more flexibility over the area of the body. A memory foam mattress has greater flexibility than a sprung mattress and supports by heat and weight, encapsulating the warmth to the muscles and joints, for optimum recovery conditions. This can also be an irritation to those who get warmer than is comfortable. Some memory foam mattresses tend to off gas when they are new. A Latex mattress has many of the same properties as the memory foam but without the heat and off gassing. This is made from a natural product. Water beds are good for all body support and good for temperature controlled sleep surface. Firmness can be controlled by the amount of water added and the sponge level, this also helps keep movement and noise to a minimum. An Air mattress has it all. No metal springs to wear out, dual adjustable support, no heavy water that may leak and cause damage, foam to shape and support. The most important factor in an Air mattress is the fact you can adjust its firmness to suit any individual. This is the same mode of support as used in Hospitals. Orthopaedic mattresses are generally more expensive than normal mattresses because of the materials used and the careful construction. Despite this, orthopaedic mattresses are popular purchases, and are very highly rated. Several reviews expressed satisfaction at having paid more for better quality sleep each night. But some people who purchased an orthopaedic mattress regretted the decision, but more often this had more to do with the construction of a specific model of mattress rather than its orthopaedic effects. An extremely prevalent recommendation among both mattress distributors and purchasers is to understand your own personal preferences about mattress construction, firmness and thickness before buying an orthopaedic mattress, as these preferences and expectations can have a massive effect on purchase satisfaction and sleep quality. An Orthopedic mattress is not cheap, especially the type used by Hospitals and nursing homes. However there are other types of mattresses with Orthopedic qualities. We typically spend around 24 years of our life in bed. This much longer than we spend driving a car or watching TV. So we should take more care over the purchase of a mattress than the buying of a car or sofa. A good quality mattress with Orthopedic properties should give us 10-20 years of service. If we were to spend £2,000-£4,000 on a quality mattress then it would cost £200 per year or less than £4 per week or .55p a night. Not too much to pay for a good nights sleep, long term health advantages and a chance to repair the back. It’s never too late to buy an Orthopedic mattress and many of us don’t even consider the options until the second half of our lives. This is because in the first half of our lives the back can repair far quicker and is more forgiving. If we look at in this way, the cost of an orthopedic mattress, which may last 10 to 20 years, is actually very low. How good is your existing mattress? Check for faults and negative points. e.g Is it too soft, too firm. Do you hammock or is your back arched? Did you sleep better on another mattress? If so, where and what sort of mattress was it? Take all these things into consideration when looking for a new mattress. Check the features of other types of mattress available. Air mattress, Latex foam, Memory foam, fluid and multi pocket spring. Make a list of pro’s and con’s. Think about how you and your partner sleep. Side sleepers in general require a softer mattress, front sleepers require a firm mattress and back sleepers require a medium mattress. This is a very general guide. What is the maximum size your room will accommodate? If you can go to a King size or Super King size this will give you more elbow space. In a normal Double you will disturb each others sleep. Check your budget and consider our comments above. As we said a quality mattress is good value at the end of the day. Some people have allergies? Check the type of Memory foam as this can give off vapours that can effect people. Take a look at mattresses made from all natural organic fibres. Do you sleep with the window open at night as this effects the efficiency of a Memory foam mattress. Are you a hot or cold sleeper? E.g. Some people tend to get hot in the night whilst others tend towards feeling cool. Hot sleepers may find cheap memory foam mattresses too warm at night (although the more expensive versions have clever air ventilation designs). Check the density of memory foam the chemical content and the number of layers. Some are very heavy making it impossible to turn. Go to a showroom to check the mattress you are thinking of buying. You wouldn’t buy a car without research and driving it. Spend time on the mattress as foam mattresses take time to react and your body needs time to relax. When buying online make sure you have done your research as most companies will not accept returns. This is understandable for health reasons. But if the mattress is not as advertised you are entitled to your money back. Always research all the angles. Always go for the biggest mattress you can afford and with the most comfort layers. Mattress manufacturers have got some amazing features to afford you a good nights sleep and the most comfort available. Heating, cooling and massage pads are among the things to consider. Also consider a mattresses with gimmick features like the use of magnets (for magnetic therapy), or the inclusion of an impregnated aroma that helps relaxation and improves sleep based upon the principles of aromatherapy. Always check with your doctor if you have allergies or serious back alignment problems. Your doctor will be able to tell you if your choice of mattress is a wise one or not. The plan below gives standard industry bed sizes in the UK for all mass produced beds and mattresses in inches. These sizes are of course for standard units only and many manufacturers produce additional sizes and sometimes different shaped (e.g. round end) beds and mattresses for RV’s and Yachts. UK mattress sizes in feet and inches are given below. Both king-size and super king are 3 inches longer than single and double bed variants.